A design company hailing from the Nordic companies, &tradition boasts that their vision has combined craft, art, function and form. Though their brand name states tradition, their products are rich in contemporary design, from redefining and reinventing certain materials in their pieces to reshaping and reusing techniques and forms to develop and present their pieces. Since their name, however, is based on tradition, they enjoy using pieces in their natural forms, including raw materials and believe that that is the way in which furniture is made to last. 101 Copenhagen is a Danish design brand, founded in 2017 with a strong vision to create a world of beautiful accessories of exquisite craftsmanship, quality and timeless design. The Anglepoise lamp is a balanced-arm lamp designed in 1932 by British designer George Carwardine.Discover the rich history behind this quintessentially British brand and view our wide range of products. Founded in 1960 and based in Pregnana Milanese, the Italian Group Artemide is a world leader in the field of residential and high-end professional lighting. Azimut Industries is a French design company that is specialized in creating light products that combine smart and technical solutions to increase the value of use. Azimut created a complete set of spotlights that can be used for commercial and private use. The whole production is based in France. The brand Brokis epitomizes the combination of excellent design, high-quality, and incredible craftsmanship of Bohemian-inspired glass products. What has become known as Czech’s premium lighting brand, Brokis lamps have received global recognition and gained various awards for superior design. This, particularly with regards to the brand’s original collection created by both local and foreign artists. The Artisan Designer Céline Wright has been making a name for itself for 20 years in the creation, consulting and manufacture of lighting, vases and decoration accessories "design and ecological". The Cph Lighting collection is manufactured in Denmark with the greatest attention to design, function, high quality, and low energy consumption. Because we believe in lights that last. DARK, based in Belgium, does not just produce lighting solutions. Instead, they produce lighting solutions that double as works of art. From lamps, to chandeliers, to sculptures; DARK aims to improve the look and feel of your interior space. 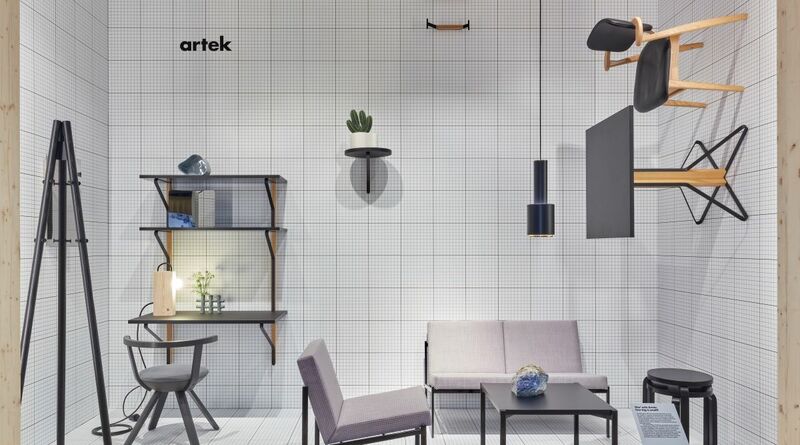 For their innovative work, DARK has won the Interior Innovation Award. David Trubridge Ltd was formed in 1995 when David started to expand his operation from his small designer/maker business. Bertrand Balas, a French architect born in 1935, created the lamp Here Comes the Sun in August 1969. Design House Stockholm has identified themselves as publishers of design instead of abiding by the label of a traditional manufacturer. As such, they partner with designers in much the same way as publishing companies partner with authors. Instead of requesting that a designer create a particular product, however, Design House Stockholm calls designers to offer their own ideas. Some of which are then chosen to be produced. Dreizehngrad produces lighting solutions that are a mixture of conventional and contemporary styles. All materials used are proven to be wholesome and of the utmost quality. Within the development phase, contemporary technology is combined with traditional craftsmanship to create the end result. This is a unique light, customized by hand. EBB & FLOW creates and manufactures lighting solutions as well as practical and ornamental products. The brand’s designs are based on a conventional British and Nordic style with the addition of a passion for fundamental materials such as glass, metal, and textiles. The end product is a mixture of lighting and glass with a carefree simplicity, intense color, and a contemporary touch. ENOstudio, based in France, is a publisher of products created by top-quality, contemporary designers. These designers vary in style and experience, but all contribute to the overall ENOstudio product offering. Enrico Zanolla graduated in architecture in 2004 from the most recognized University in Venice, Europe (IUAV). Founded in Britian, Established & Sons embodies everything that is original in modern design. They have become known and valued as the company that promotes individual expression. As such, those passionate about design refer to Established & Sons product collection in order to gain inspiration for lighting with elegance and character. Faro Barcelona was born in 1986 under the name LOREFAR SL Under the brand Faro Barcelona we commercialized more than 5,000 references, offering a To varied but integrated offer that covers any need in lighting and ventilation. Fatboy offers a wide range of colourful bean bags, huge lamps, oversized sunshades, magical hammocks, super-relaxed dog beds and exuberant outdoor accessories. A sincere passion for design, craftsmanship and aesthetics was the essential element in the foundation of ferm LIVING back in 2006. Fermob has developed a passion for nature and as such aims to protect it and show respect for it throughout their production process. This is proven by their ISO certificate, which the company received in March 2010. Founded in Thoissey (Ain, France), Fermob generates approximately 400 000 products annually, including various lighting solutions. Forestier is a lighting design studio based in Paris since 1992. Frama is situated in central Copenhagen in the famous, safeguarded region of Nyboder. Previously the location of St. Paul’s Pharmacy founded in the 1800s, the building maintains its original woodwork and architectural design. The creations of GOBO Lightning are crafted in a constant concern for harmony, balance and aesthetics, derived from designer’s experiences and influences; environmental studies, computer programming and chemistry. The golden ratio occupies a central position in his research, establishing beauty and the form of consistency. The designer also has a passion for modular origami, influenced by Ron Resh, which is one of the pioneers in paper folding, Origami Tessellations and 3D polyhe- drons. Grok embodies a way of understanding and interacting with one another that is based on intuition and empathy. It is our soul and these are our values. GUBI is a global design house searching the world to find forgotten icons from the past and icons of the future. Haberdashery is an award-winning London based design studio focussed on the perpetual appeal of light. We are inspired by the stable structures of architecture and the dynamics of fashion, which we seek to combine in durable quality products that provide added value for the user. Timo, a designer, junior secondary school teacher, and father of two sons is also the founder of Himmee. While growing up, Timo played with Legos and longed for a career in NHL, but this soon became a pipe dream. HURLU is a new, up-and-coming design agency that was started by Laura Iriart and Arthur Trichelieu. Between the two of them, they possess academic knowledge in architecture, product design, Mechanic level II, and industrial design product management. As such, the two entrepreneurs boast skill in both artistic creation and mechanical industrialization. Combining art and design is a challenging task, one that many fail to do. Oçilunam, Italian artist and designer and founder of In-es.artdesign, has, however, managed to achieve this. Innermost has innovation at it’s core; working with designers from all corners of the globe to create beautifully unique and diverse products of the absolute highest quality, since 1999. During Summer 2013, the idea became project and I established Irregolare firm. Irregolare works in the fields of lighting and home accessories. John Green designs both furniture and lifestyle products to be assembled. He has won countless awards for his work including, most recently, the Grand Designs Product of the Year Award, the Homes & Gardens Classic Design Furniture Award, and the Homes & Gardens Classic Design Young Designer’s Award. Kenneth Cobonpue is a multi-awarded furniture designer and manufacturer from Cebu, Philippines. The heritage of the LE KLINT brand goes as far back as the start of the 20th century. Back then, architect and Engineer, P.V. Jensen-Klint, designed and produced a hand-pleated lamp suitable for a paraffin lamp. The design studio LOOMA from Münster – Germany exists since 2015. The enthusiasm for creation, the connection of aesthetics and functionality as well as curiosity and innovation joy have led to the foundation of the new label. Karl Hunke and Wilhelm Jochheim founded LUCTRA in 1920. The company, originally known as ‘DURABLE’ was created to produce superior products to compliment the corporate environment of offices, as well as the more relaxed spaces of homes and travel accommodation. LUCTRA was also established to manufacture equipment for buildings.